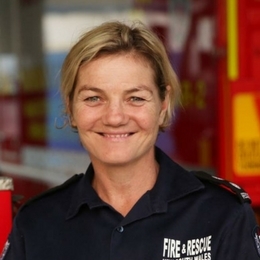 Bronnie Mackintosh is a station officer with Fire and Rescue NSW and has been a firefighter for 16 years. Her career has encompassed many roles, spanning general firefighting, rescue, operational communications, community safety, and education and training. Bronnie is a Winston Churchill Fellowship recipient. She travelled the world to research how international fire agencies are changing their workforces to be more reflective of the diverse communities they protect. On the back of this research, Bronnie is currently seconded to the Australasian Fire Authorities Council (AFAC) to assist with diversity and inclusion programs for the fire and emergency services sector. Before becoming a firefighter, Bronnie was a passionate rugby union player, competing around the globe and in 15 test matches for the Australian Women’s team, the Wallaroos. Bronnie has a Bachelor in Sport Science from the University of Technology and is currently studying for her MBA at Newcastle University.